For the parents who can’t afford to buy books or pay school fees, weekly readings – organised by GFC partner Li, Li, Li! – provide welcome relief. A dozen or more children listen, their faces rapt, as local reader Sophia Remy tells them a story in Creole. The boys and girls peer at the picture book Remy holds in front of them, as she recounts a tale of a walrus with a sore tooth. “Li, li, li!” she declares, the Creole for “read, read, read”. “La, la, la!” they respond with enthusiastic shouts. Since 2010, Li, Li, Li! 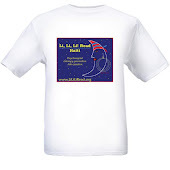 has reached about 60,000 children through camp reading sessions. Slowly, people are being evicted from the camps by landlords eager to get their land back. As the camps disband, Li,Li Li! is already considering how it can set up libraries and take its readings into community centres. 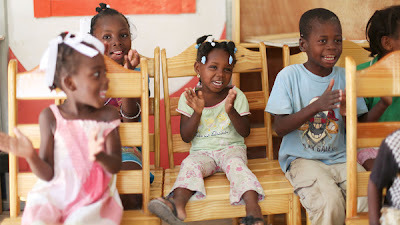 See full article about Global Fund for Children's partner projects in Haiti by clicking here.